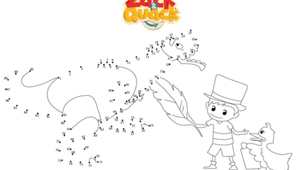 Zack & Quack is also available on Mini TFO A section just for the kids, without ads! Click to explore! 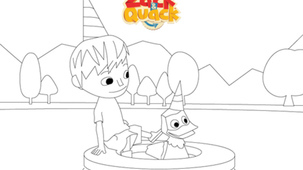 Zack and Quack live inside the most amazing pop-up book ever. It's a place full of fantastical surprises where pulling tabs, flaps and levers makes AWESOME and UNEXPECTED things happen. Only here can you pull a tab that pops-up a wooly MAMMOTH, or a yappy CHIHUAHUA, or a yappy MAMMOTH CHIHUAHUA. 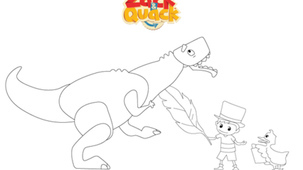 From the second Zack and Quack step out of their house and into their pop-up garden, adventure begins.